Building a high performance 3 Elements lightweight end mount Yagi antenna for 70cm UHF band centered at 435 Mhz. 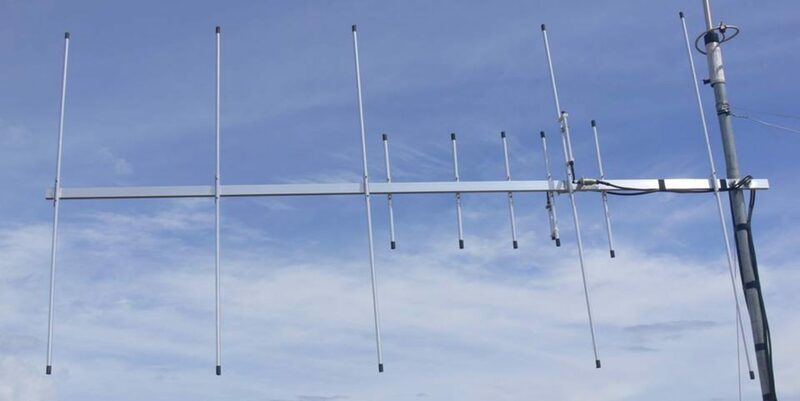 This Yagi build exhibits a gain of 7.66dBi at the center frequency 435Mhz for use in the Philippine UHF amateur band. Front to back ratio is 18.5dB, Vertical Beamwidth 106°, Horizontal Beamwidth 64°. Just like my previous design it uses direct coupling of feed point to boom and a gamma match to tune the antenna. This antenna will cover 430-445 Mhz UHF Amateur Band.